Italians did not invent wine, but they certainly perfected it. Passionate about the things with which they surround themselves—art, romance, food and family—it makes sense that Italians would perfect a beverage that has been their dietary staple for thousands of years. The Etruscans, from Asia Minor, brought wine to central Italy. The Romans, however, perfected the craft. They found ways to increase the yields, which was important because as the population increased, everyone, including slaves, drank wine; they figured out which grapes were best suited for the varying climates, and were the first to realize that wine tasted much better with age and began to store it in wooden barrels and glass bottles with corks. In the 20th century, Italian wine quality began to diminish. As a result, a series of laws were passed in the 1960s to control quality and create label designation. Basically five label designations were created which categorized the wines based on production guidelines. The highest designation, DOCG (Denominazione di Origine Controllata e Garantita) indicates a superior wine where the winemaker has to pass through rigorous guidelines pertaining to production, quality, aging and taste. Other label designations are a bit less strict with the last three categories falling under the label of Table Wine, which is lighter and fruitier and does not need to be aged. As noted by the Romans, the wide climatic variation lends itself well to the unique needs of specific wine grapes. Vineyards in the north located on the cool hillsides of the Alto Adige region produce grapes that make peach- and nectarine-scented white wine. The Gaglioppo grape variety is obscure virtually everywhere in the world except the southern Italian region of Calabria, where it’s the principal grape in most of the region’s red wines that are a pale smoky red with flavors of sweet dried cherries. The Northwest Piedmont region is home to the famous Barolo and Barbaresco wines. Like most European wines, Italian wines are typically named for the region and not the grape. While both wines are made from the Nebbiolo grape, they are named after the districts they hail from. Barolo and Barbaresco have wonderful, distinctive aromas of tar, roses, licorice and truffles. Barolo has a reputation for being more massively tannic and rich, while Barbarescos are more graceful and approachable. 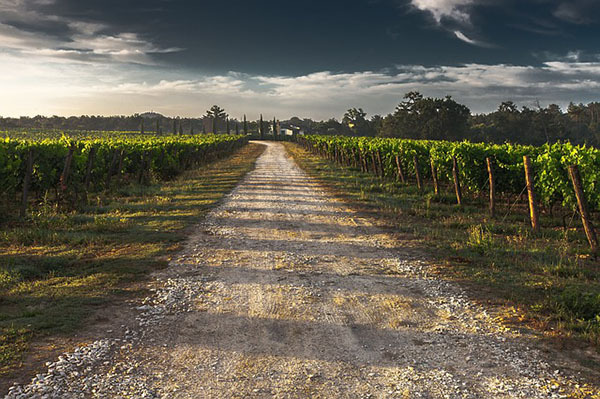 The Chianti region is located in central Italy’s Tuscany region, known for its sweeping landscapes, burning hot sun and wealth of art and food history. Chianti wine must contain at least 80% Sangiovese grapes. Chianti has savory flavors paired with high acidity and coarse tannin, which makes it an incredible wine to pair with food. Because wine was a staple at the Italian dinner table for centuries, winemaking and culinary traditions evolved together, which explains why the world’s best wine and food experiences can be found in Italy. Written by Georgene Mortimer, owner of Island Winery on Cardinal Road. The perfect bottle of handcrafted artisan wine awaits at Island Winery on Cardinal Road. Complimentary tastings, wine by the glass and cheese platters are available Monday-Saturday from 12:30-5:30 p.m. and Sunday, 12-4 p.m. For more information, call (843) 842-3141 or go to islandwinery.com.